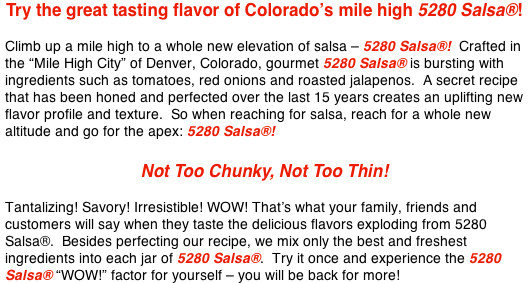 MORE BUZZ: Click here for a recent Denver Business Journal blog post about 5280 Salsa®! 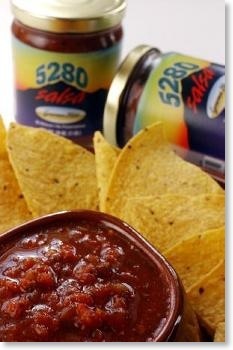 Click here for a recent blog post in Colorado Business Magazine about 5280 Salsa®! 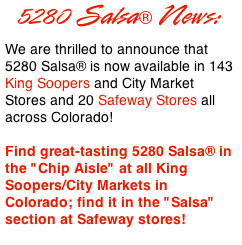 We are thrilled to announce that 5280 Salsa® is now available in 141 King Soopers and City Market Stores all across Colorado!